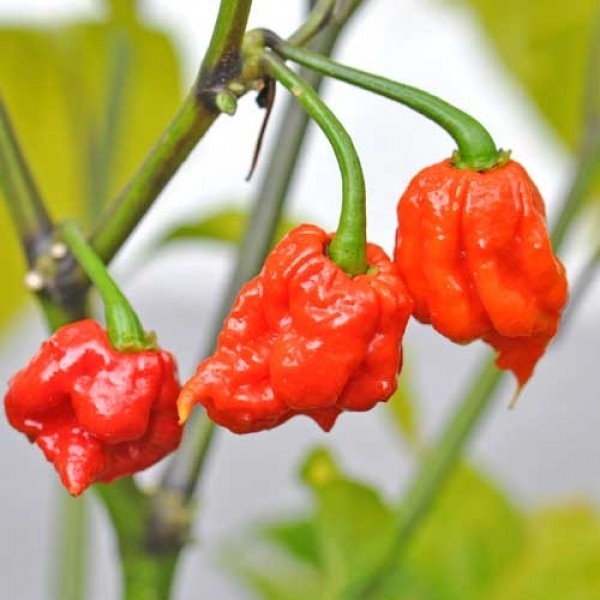 The Carolina Reaper has held the record of being the world’s hottest chili since November 2013. The name is a reference to the mythical bringer of death, the Grim Reaper, and the Carolina Reaper really is fatally hot. The average spice rating tested by the Chile Pepper Institute was 1,569,300 Scoville heat units. The Carolina Reaper chillies have an aromatic fruity-sweet flavour with notes of cinnamon and chocolate and of course, they are extremely hot. The dried chillies go particularly well with dark meat, whether it’s beef or game, but also with tomato dishes or paprika sauce. Please do not underestimate the heat, people who are unused to extemly hot chillies should not attempt to try it.